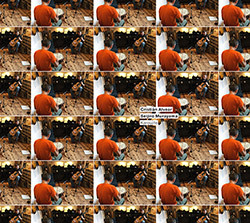 "Karoujite" is a Japanese term translating to scarcely, describing the minimalist attitude that Chilean guitarist Cristian Alvear and Japanese percussionist Seijiro Murayama approach this hybrid of composed and improvised music, using a focus of repetitive structures with slight variation to create a hypnotic and entrancing set of music. 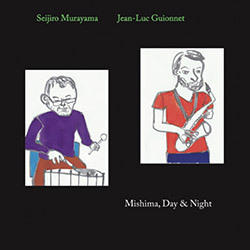 The third album from Japanese percussionist Seijiro Murayama and French saxophonist Jean-Luc Guionnet, each presenting unique languages and approaches to their instruments, here in four recordings made in two locations, once during the day in Mishima City at Hongaku Temple and the other at Teke Bar in the same city and on the same evening. 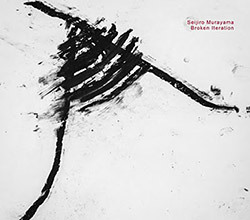 A 2-CD release from Japanese percussionist Seijiro Murayama, performing solo on "objects" which combines clearly percussive objects and other electroacoustic items of obscure origin, creating active, rich and curious sonic environments that envelop the listener. 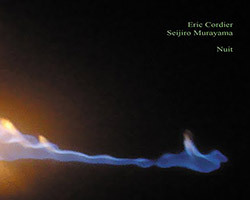 On the surface an album of organized field recordings, which Eric Cordier recorded in both France and Japan, from outdoor sounds (frogs/birds) to indoor environments, over which Murayama added percussion and vocal utterances, synthesizing unusual and engaging environments. Jean-Luc Guionnet and Eric La Casa in a work for the Uninstal Festival interviewing inhabitants of Glasgow in their home spaces, the results organized into compositions blending spoken word, music, improvisation and field recordings; each CD unveils the process of the composition. 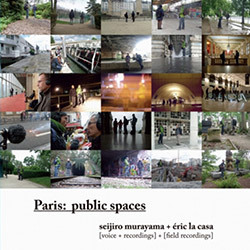 Twelve recordings constructed from 2012 field recordings of public locations in Paris by Eric La Casa and Seijiro Murayama, including subway stations, parks, open gardens, tunnels and fountains; a fascinating portrait of communal sound in this great city. 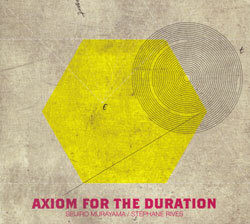 Percussionist Seijiro Murayama and Saxophonist Stephane Rives focus on creating drone music while exploring the many subtle variations of texture sounds. Four recordings of subtle improvisation for saxophone & percussion, recorded for Radio Nationale Slovene in Ljubljana, and in the library of Jean-Paul Manganaro, Paris. 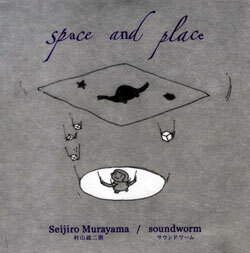 Percussionist Murayama and Soundworm (Hiromits Shoji) in a work following a score that switches between clusters of live microphones as Murayama improvises to the resulting sound. 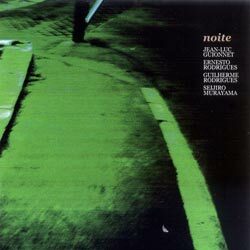 Saxophonist Guionnet guides this quartet of sax, viola, cello, & percussion, including label leader Ernesto Rodrigues, delicate yet detailed improv of a high order.